FRANK Smith, the Chief Executive of Matchroom Boxing, has been appointed to the main board of the group’s parent company, Matchroom Sport. Smith, 26, first worked within Matchroom as a 14-year-old on work experience, and started full time in September 2008 after he left school. 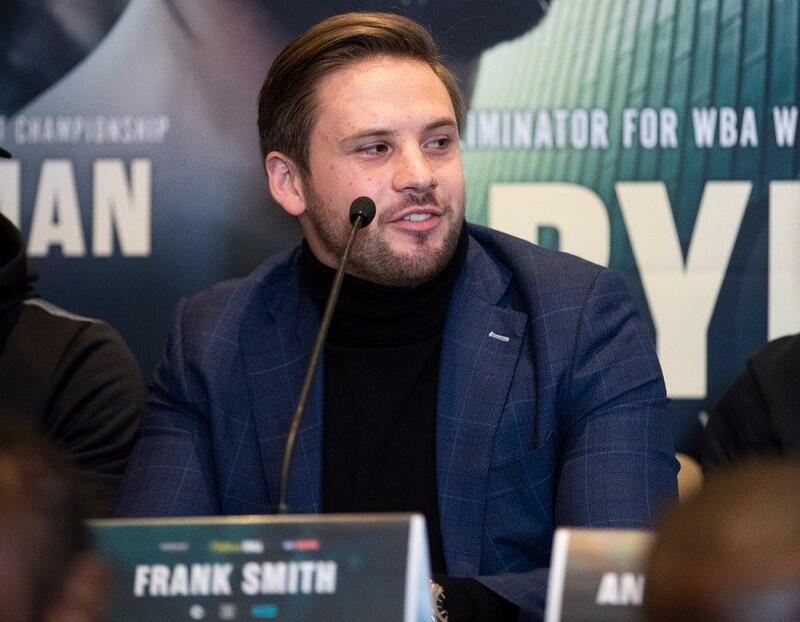 Having worked across many of the sports that Matchroom promote, Smith joined the Boxing department full-time in 2011 and worked his way through the ranks to assume the post of CEO in April this year. “Frank has proven himself to be a top-class operator over the past decade, and thoroughly deserves this appointment, said Barry Hearn, chairman of Matchroom Sport. “He cut his teeth working across many different events but has established himself within the boxing world where he is respected and liked by all. Smith joins the board of directors which as well as Barry Hearn (Chairman), also includes Eddie Hearn (Group Managing Director), Katie Hearn (Head of Television), Steve Dawson (CEO, Matchroom Sport and World Snooker) and Matthew Porter (CEO, Professional Darts Corporation). Matchroom Sport is the world’s leading independent promoter of professional sports events and as well as Matchroom Boxing, World Snooker and the Professional Darts Corporation also owns the PGA EuroPro Tour and promotes events in gymnastics, basketball, netball, 9-ball pool, fishing, tenpin and ping-pong. In 2018 it was named in 60th place in the Sunday Times Fast Track 100 ranking of Britain’s private companies with the fastest-growing sales.